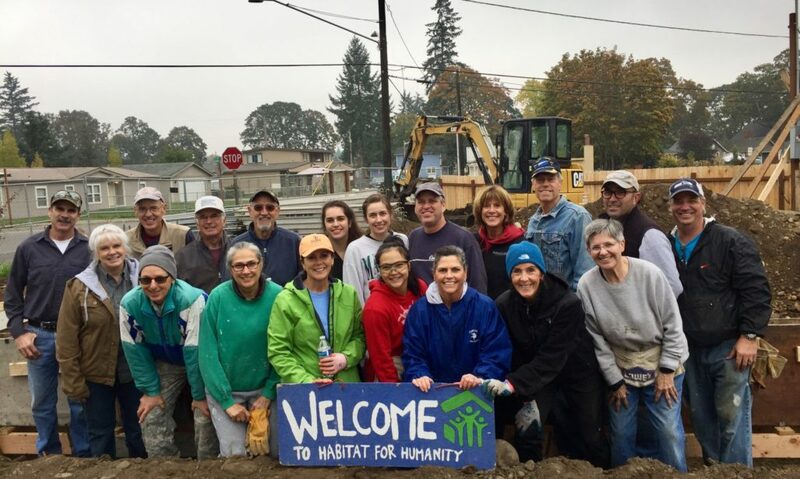 Partnering with Tacoma/Pierce County Habitat for Humanity on a group build is an amazing way for your company, church, community organization, or group of friends to bond in a unique and rewarding way. Whether you are interested in sponsoring an entire home, bringing your corporate or sports team out for a team-building experience, or looking for a fun way to celebrate your next birthday, we have a program to meet your needs. Group commitments range from a single day to completing an entire home. Some group volunteer opportunities require financial sponsorship while others do not. We welcome all types of groups – corporate, faith based, non-profit, education, civic and community groups. 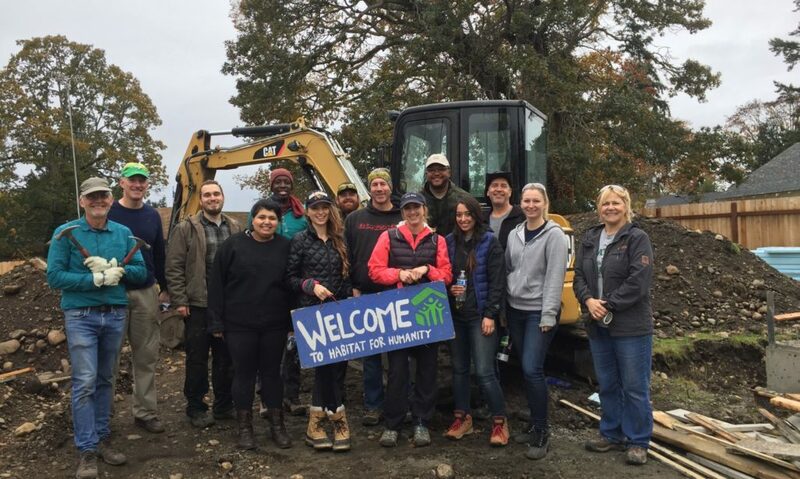 A Habitat construction site is a natural team-building environment for both large and small organizations. 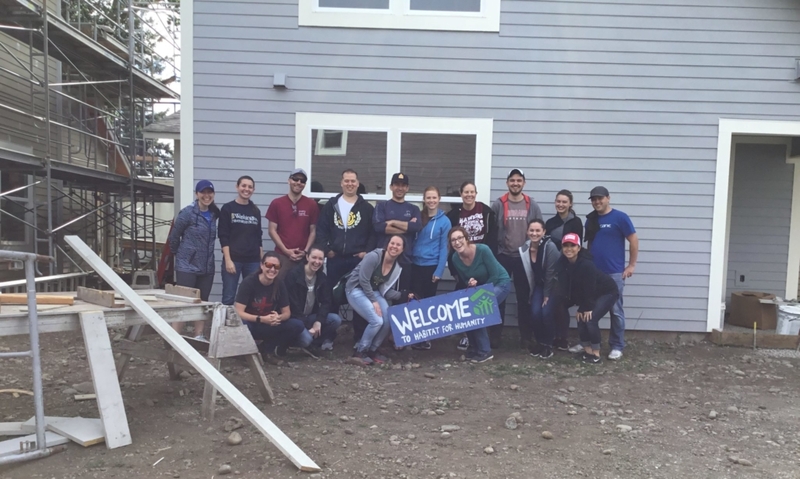 Team Habitat is a program that pairs team-building with a contribution to the community. 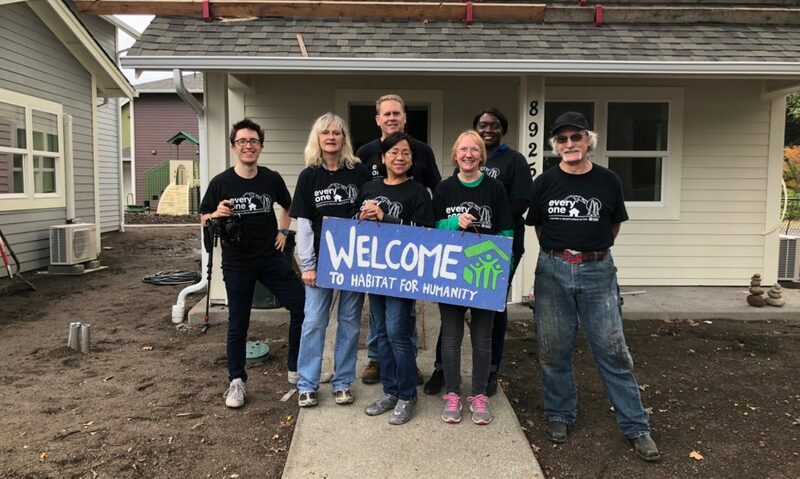 Combining a tax-deductible donation with volunteer service, Team Habitat helps us raise crucial funds to continue our mission of building safe and affordable homes in partnership with low-income families in need of decent housing. 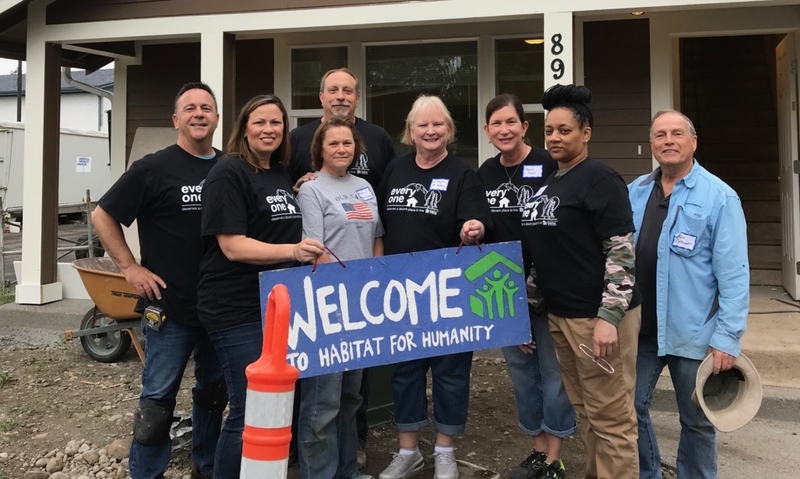 Employers find Team Habitat a great way to foster employee engagement while participating in charitable giving – from large organizations like MultiCare Health System and Bank of America, to midsize businesses like Coldwell Banker Danforth and Charles Schwab. 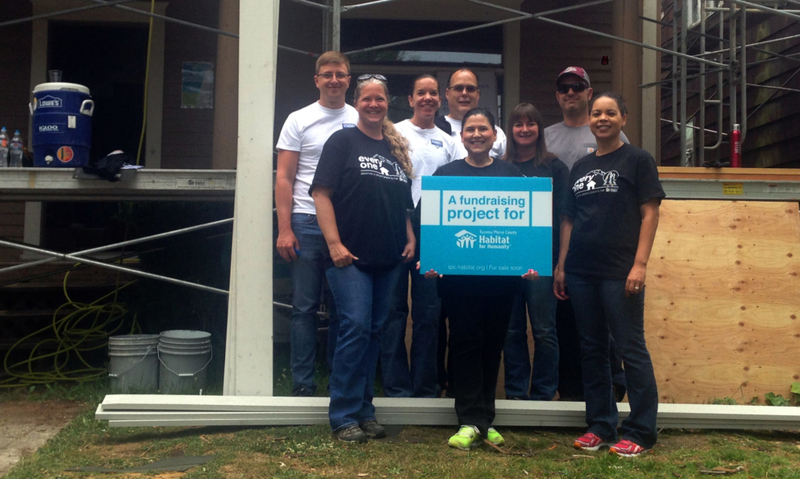 Click here for Team Habitat FAQs. See the Team Habitat photo album at the bottom of this page. Groups from all faith backgrounds build side by side across 3-4 months, in an effort we call Building on Faith. Building on Faith includes construction on the Building on Faith house and sponsorship of the Wall of Hope. We welcome your congregation to join us in this expression of God’s love. For more information, please contact Tracey Sorenson. Looking for a unique way to celebrate your next birthday? A Birthday Build is a fantastic way to have fun and celebrate you while enjoying the fulfillment that comes from helping others. Rally your friends and family and spend your special day building with Tacoma/Pierce County Habitat for Humanity. Birthday Builds are $500 for up to 20 people and $250 for up to 10. Instead of gifts you don’t need, ask your friends to make a tax-deductible donation toward your build instead. Habitat will provide a special webpage just for your Birthday Build, making it easy for you to send a URL to your invitation list. When friends visit your page, they can RSVP for the build and/or choose to make a gift in your honor. Of course, there will also be birthday cake and, instead of goodie bag, your guests will walk away with a sweet Habitat t-shirt. Availability is limited. All participants must be at least 16 years old. 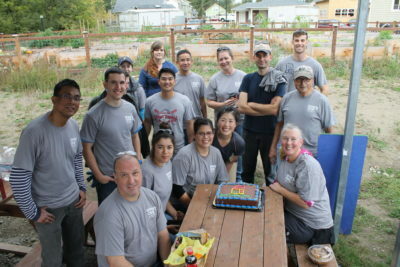 To schedule your day of camaraderie, cake and community service call 253-627-5626 x 104 or email tsorenson@tpc-habitat.org. Collegiate Challenge is an alternative spring break and build experience for college and high school students. 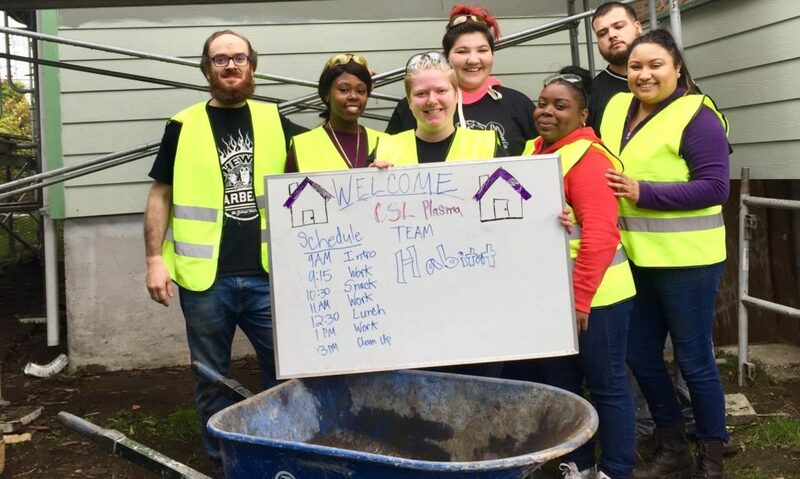 Students from all over the country come to Tacoma with Collegiate Challenge, often returning home to spread the word about Habitat, garnering support for affordable housing in their own communities. Tacoma/Pierce County Habitat for Humanity’s participation in Collegiate Challenge wouldn’t be possible without support from the many local churches that house the students, the YMCA which provides use of its facilities, and lunch providers who are needed for every day of Collegiate Challenge. If you’re interested in providing meals or services for this spring’s Collegiate Challenge students, please contact Volunteer Services at volunteer@tpc-habiat.org. 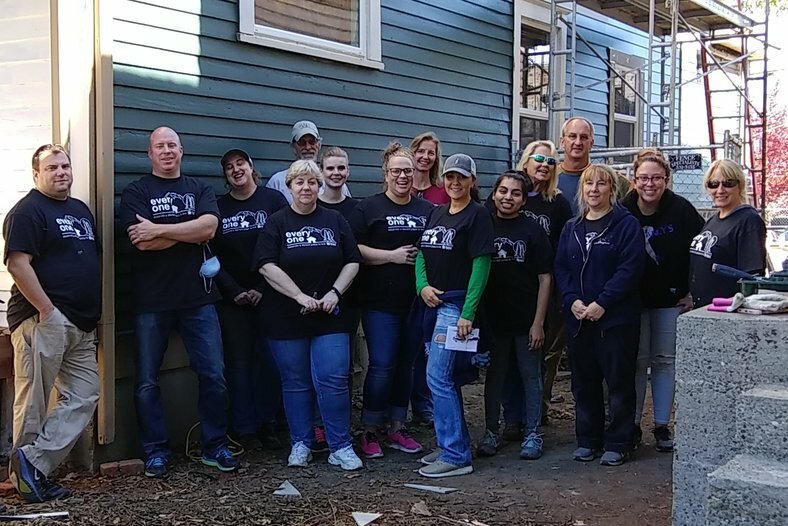 Team Habitat: Academy Mortgage | May 30, 2018 | Exterior paint, siding, hauled 60 lb. bags of cement and a variety of other projects at New Tillicum North. 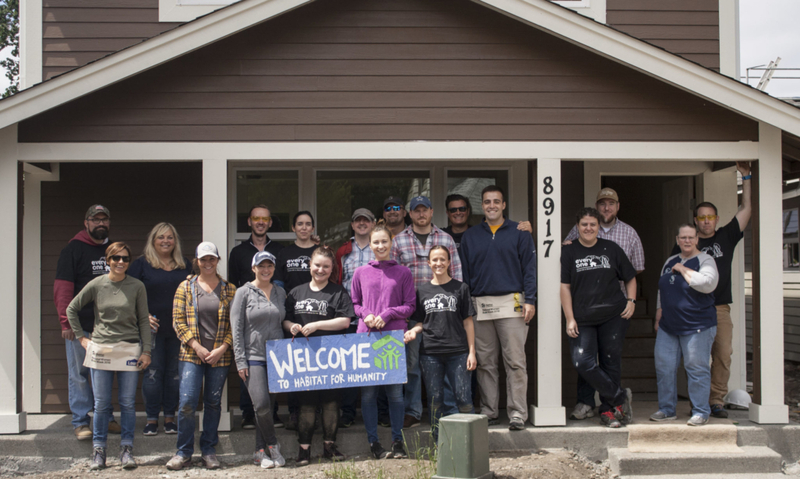 Team Habitat: Academy Mortgage | May 31, 2018 | Roofing, interior painting, decking, and other tasks at the MultiCare rehab properties. 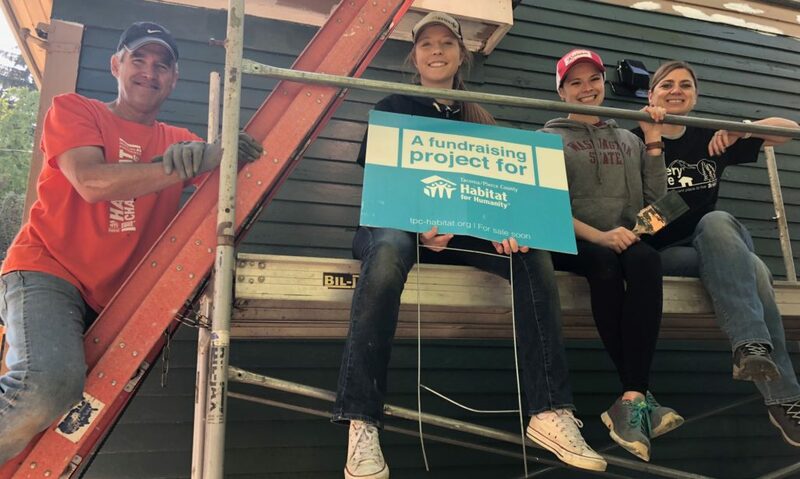 Team Habitat: Bank of America | March 28, 2018 | Caulking and sealing in the interior of Lot 5, exterior white wood trim, and continued framing on the second floor of Lot 7, and graded Lot 6 in New Tillicum North. 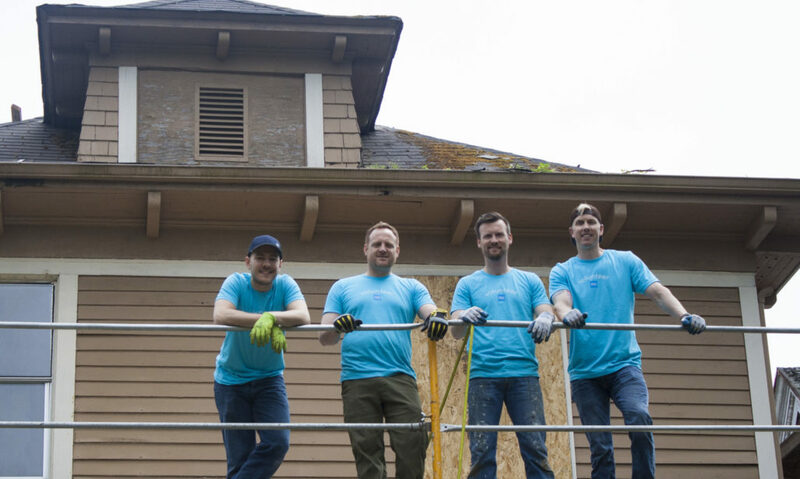 Team Habitat: Charles Schwab | May 25, 2018 | Remove demolition rubbish, re-frame the roof, and paint at the MultiCare rehab property. Team Habitat: Coldwell Banker Danforth | June 20, 2018 | Ruffing, framing, removing scaffolding, and installing HardieBacker-board at a MulitCare rehab site. 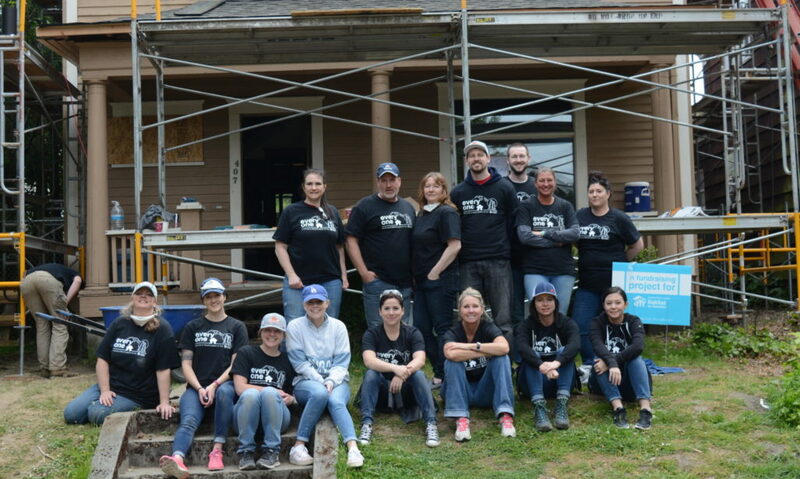 Team Habitat: Gordon Thomas Honeywell | June 6, 2018 | Caulking & sealing, painting, roofing, and fencing at New Tillicum North. Team Habitat: Hotel Murano | May 16, 2018 | Blue-boarding, cutting & installing molding and interior trim. 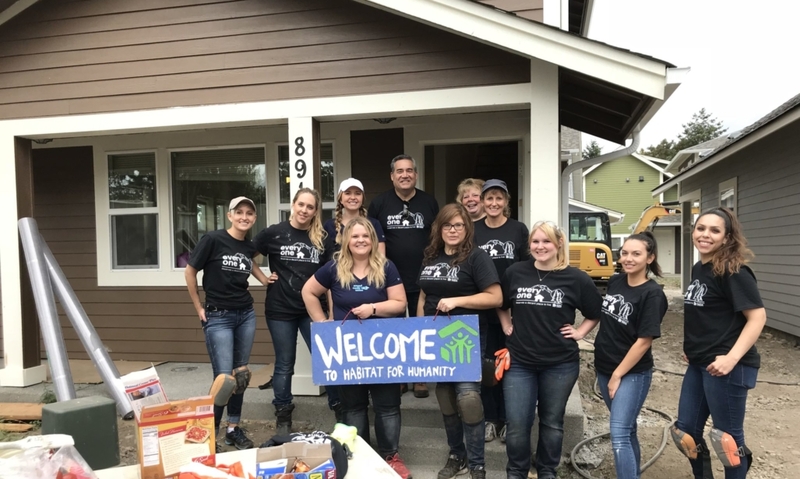 Team Habitat: Kitsap Credit Union | August 17, 2018 | Floors of Lot 6, landscaping, and helped with the concrete foundation pour in Tillicum. 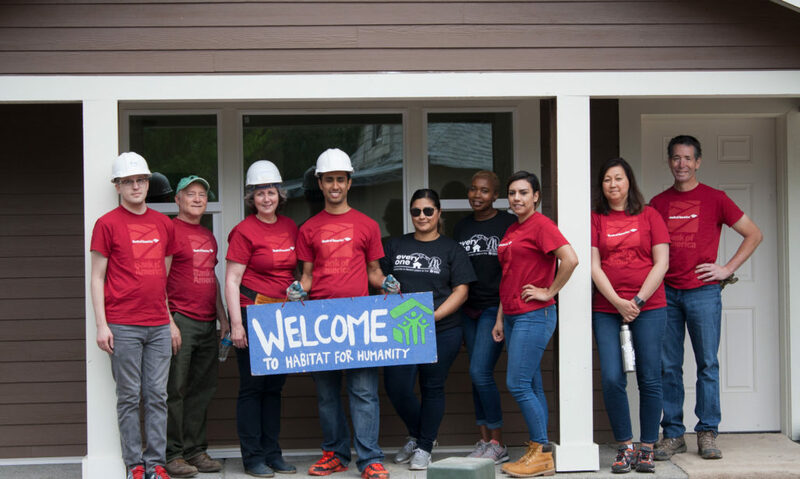 Team Habitat: Moss Adams | July 13, 2018 | Finishing touches on the landscape, completed siding on the shed, and prepped the walls for drywall at at our MutliCare rehab site. Team Habitat: MultiCare Quality Managemen Dept. | June 23, 2018 | Finishing touches, exterior painting, house cleaning in Tillicum. 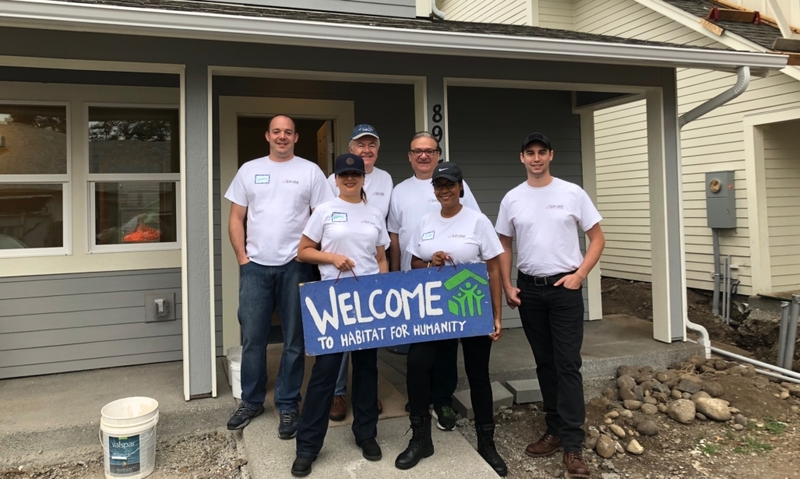 Team Habitat: Pfau Cochran Vertetis Amala PLLC | May 24, 2018 | Siding, interior and exterior painting, caulking, and even some landscaping in New Tillicum North. 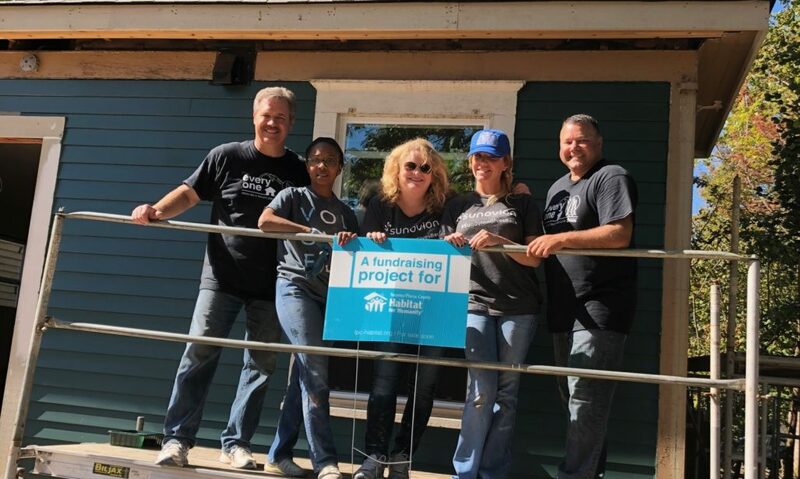 Team Habitat: Seattle Airport Marriott | Aug 16, 2018 | Finish work (painting and flooring) and landscaping throughout New Tillicum North. 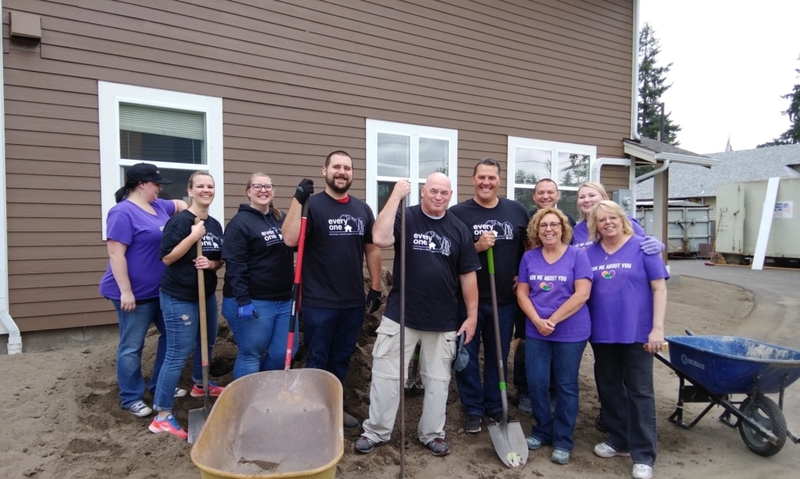 Team Habitat: Sound Credit Union | July 19, 2018 | Set-up blocks around the new playground, set-up filter fabric, floor papering, did exterior painting, and landscaping in Tillicum. 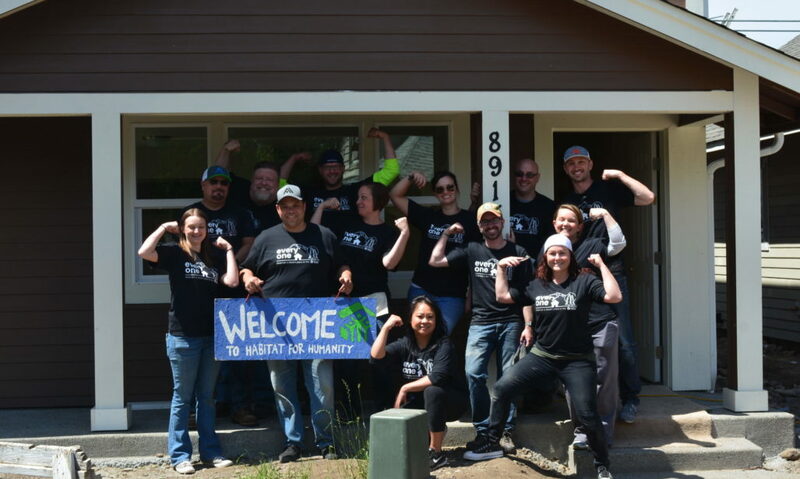 Team Habitat: Timberland Bank | June 27, 2018 | Final clean-up of two completed homes, as well as siding and painting on two homes that are still in the early stages of construction in New Tillicum North. 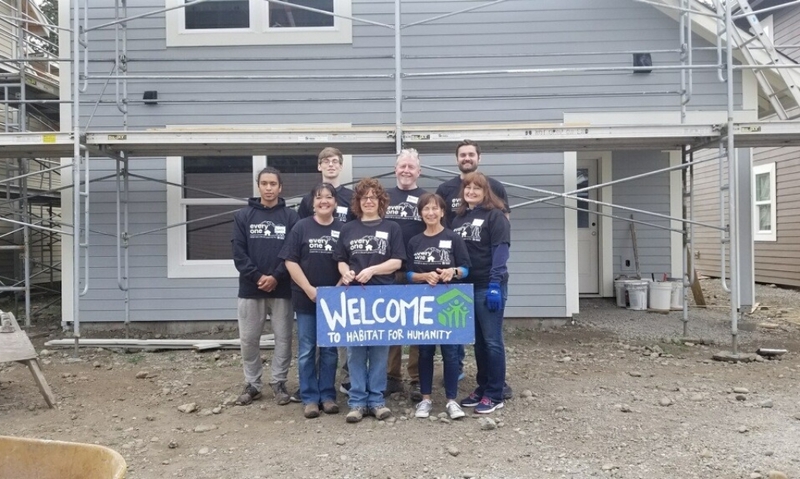 Team Habitat: Transportation Club of Tacoma | August 5, 2018 | Wrapping and blue-boarding an entire house in Tillicum. 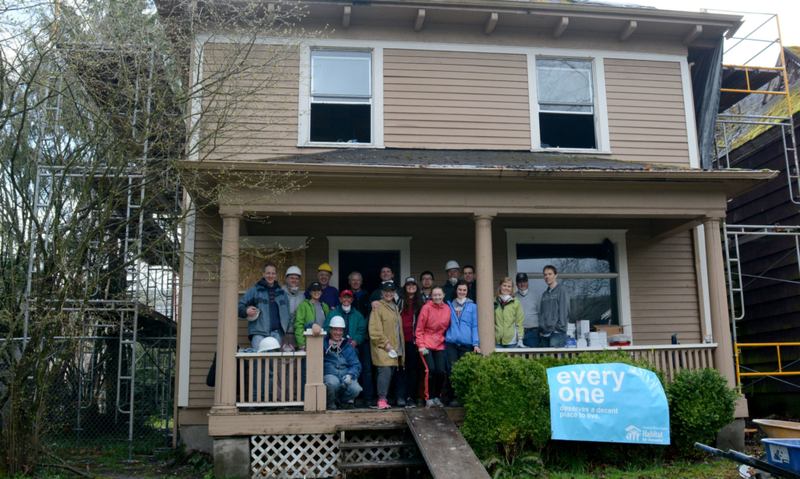 Team Habitat: University Place Presbyterian Church | April 7, 2018 | Demolition at MultiCare rehab property. 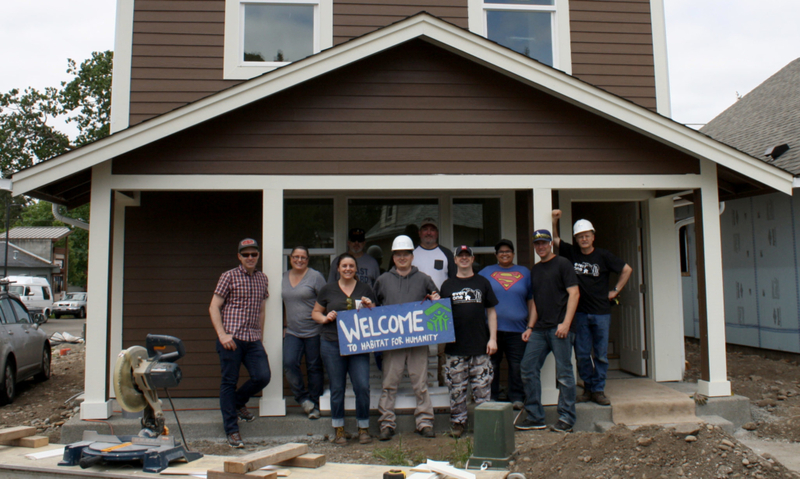 Team Habitat: Kidder Mathews | Sept. 19, 2018 | Landscaping at New Tillicum North. 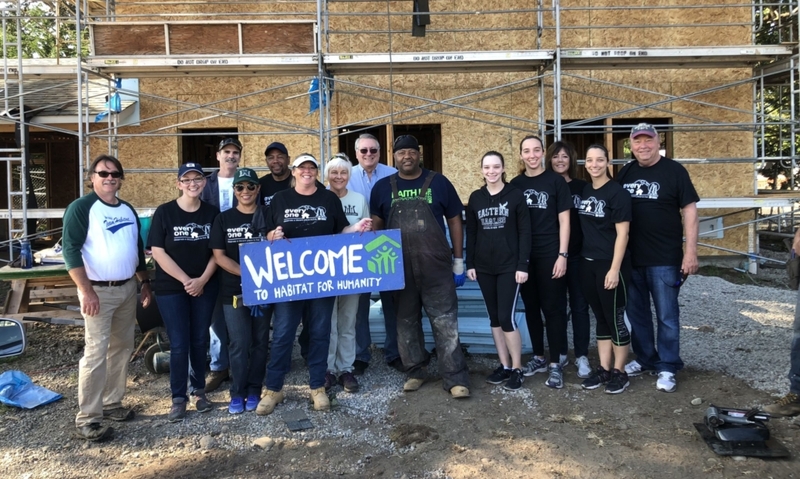 Team Habitat: Sunovion Pharmaceuticals | Sept. 26, 2018 | Exterior painting at MultiCare rehab site. Team Habitat: Johnson, Stone & Pagano, P.S. | Sept. 28, 2018 | Exterior painting at MultiCare rehab site. 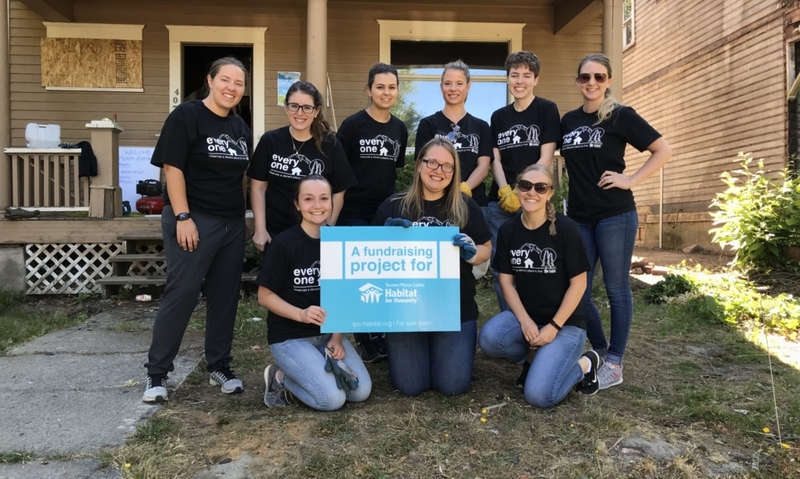 Team Habitat: BCRA | Sept. 29, 2018 | Exterior painting at MultiCare rehab site. 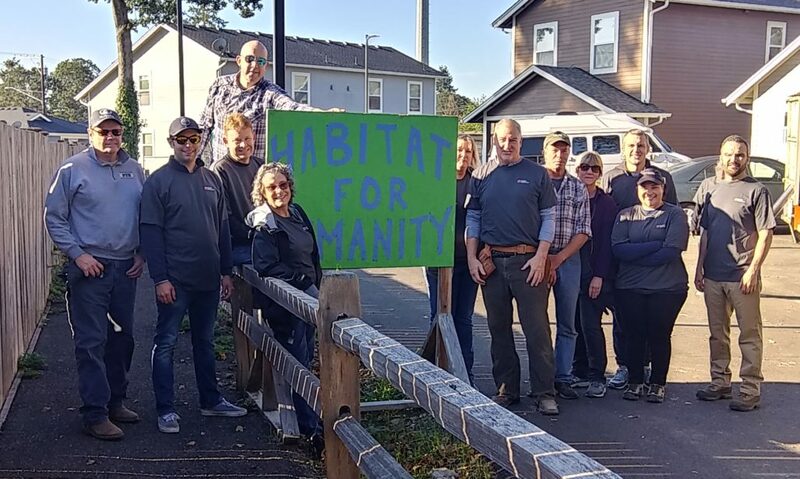 Team Habitat: Tacoma Pierce County Bar Association Family Law Section | Oct. 13, 2018 | Exterior painting at MultiCare rehab site and demolition at the Sprague property. 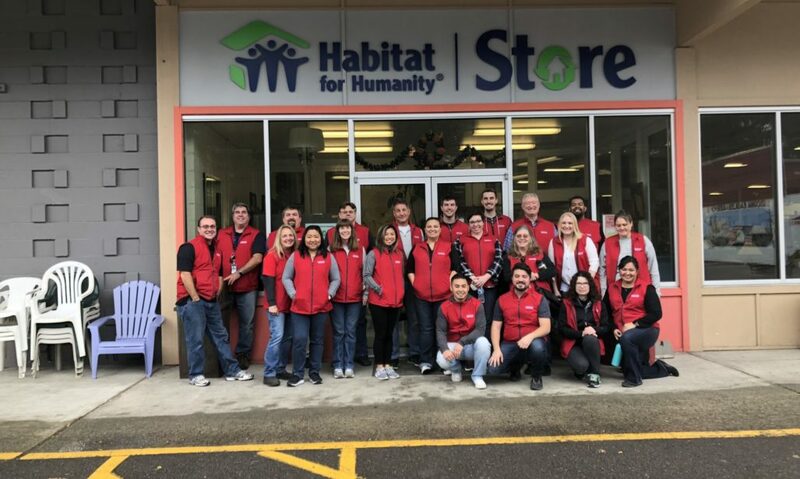 Team Habitat: Olympic Eagle Distributing | Oct. 19, 2018 | Interior and exterior paint at the Salishan house. Team Habitat: University Place Presbyterian Church | Oct. 20, 2018 | Set up the foundation forms at the Thorne Lane homes. 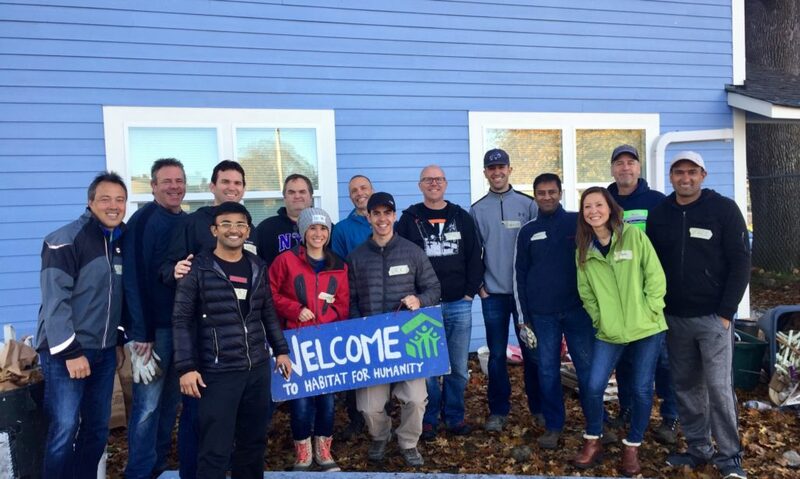 Team Habitat: Cisco | Oct. 31, 2018 | Worked at Thrivent house and the Thorne Lane homes in New Tillicum North. 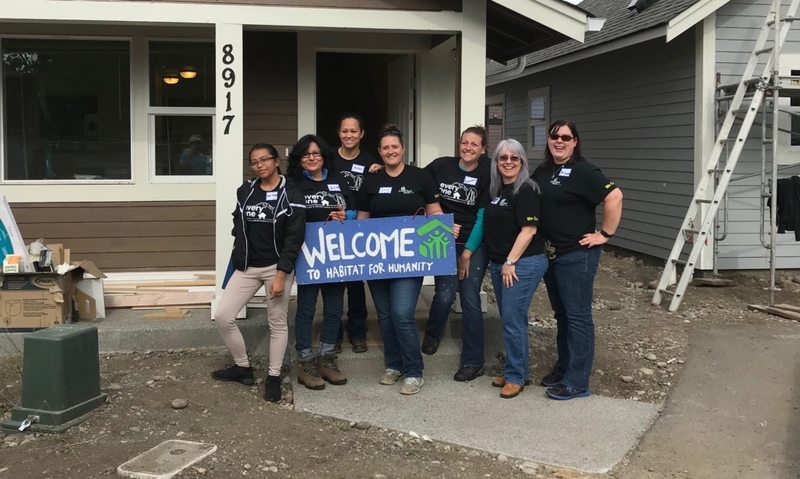 Team Habitat: Cisco | Nov. 1, 2018 | Tiling, painting, moved scaffolding and many other tasks on four homes in New Tillicum North. 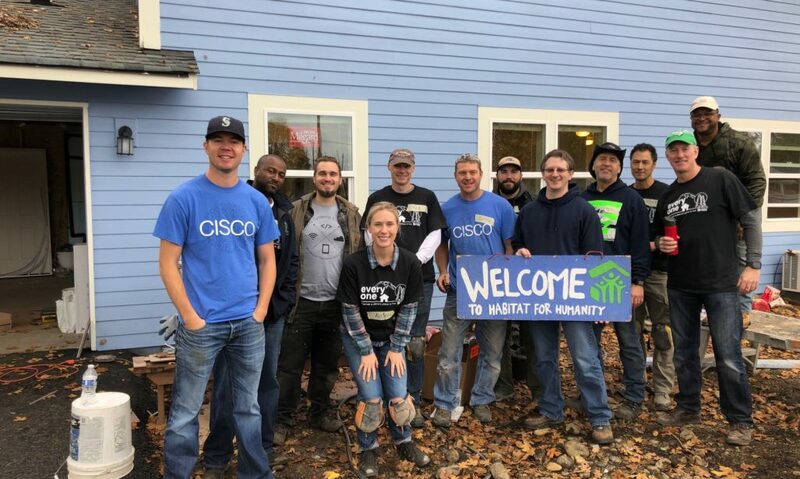 Team Habitat: Cisco | Nov. 2, 2018 | Sod, grout, and other tasks in New Tillicum North. 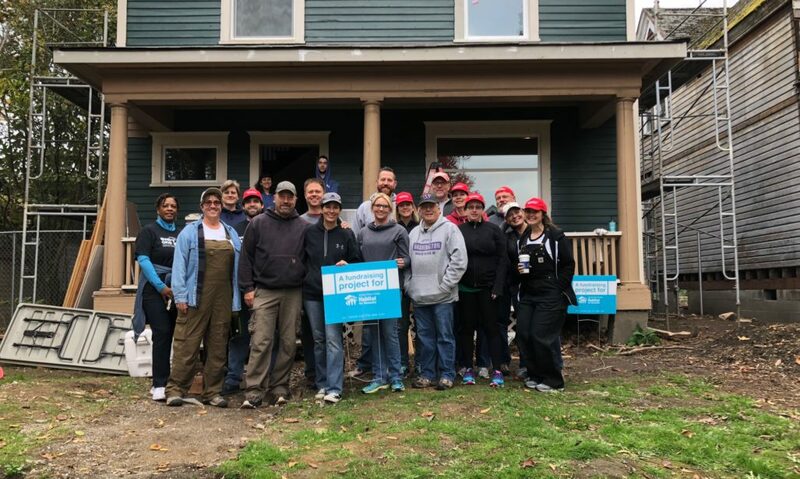 Team Habitat: CSL Plasma | Nov. 3, 2018 | Cleaning up shingle waste, roof work, demolition and other tasks at the Sprague house. 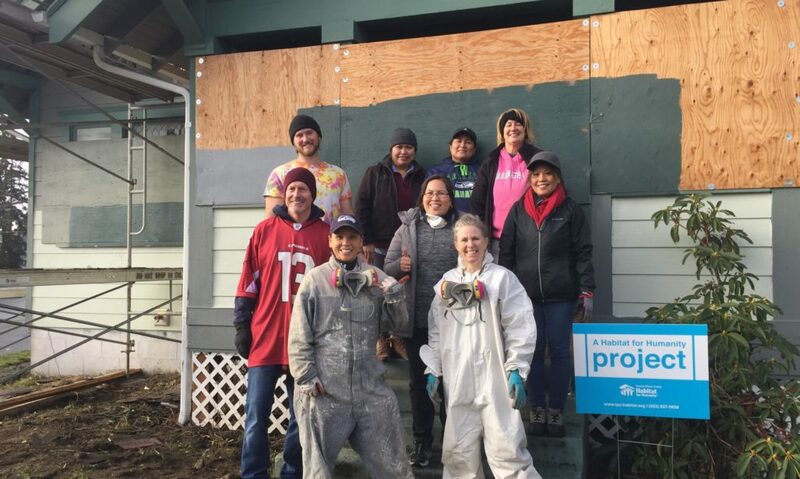 Team Habitat: Regence | Dec. 1, 2018 | Wall paper removal, scaffolding, wall demolition, and cleaning out the attic and basement crawl spaces. 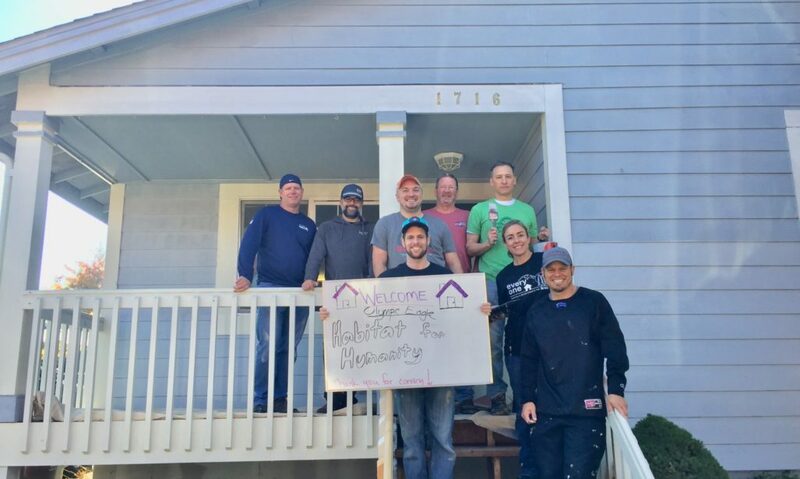 "I wouldn’t be able to give my kids a house if it wasn’t for Habitat and everyone who donated all the supplies and came out to help volunteer. I really am very thankful for the opportunity. I want to let everyone know, thank you very much."